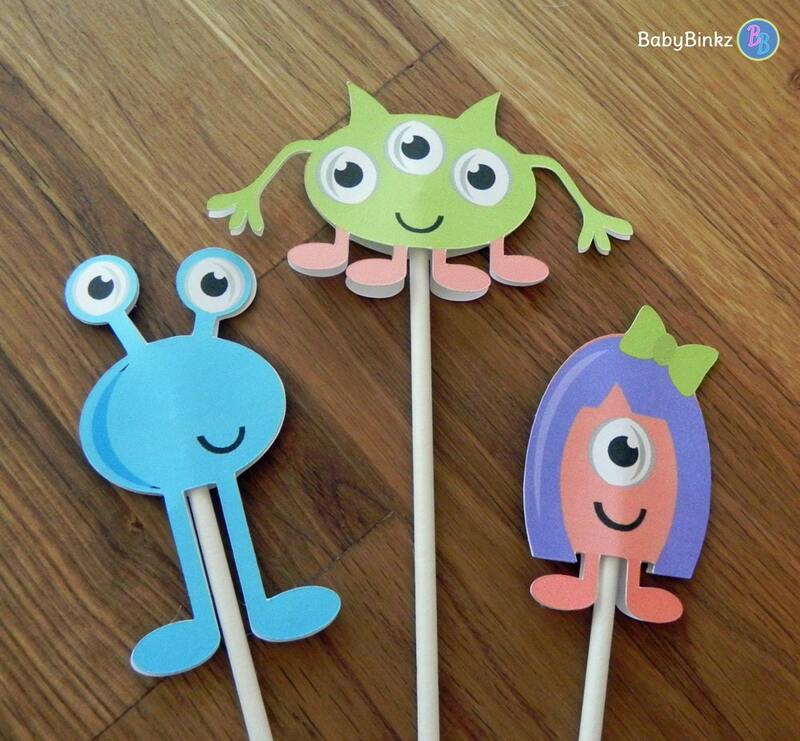 BabyBinkz Cute Die Cut Monster Cupcake Toppers in Blue, Green, Orange & Purple will be the perfect addition to any party! Each set includes 12 double sided die cut cupcake toppers constructed from two layers of heavy weight card stock. 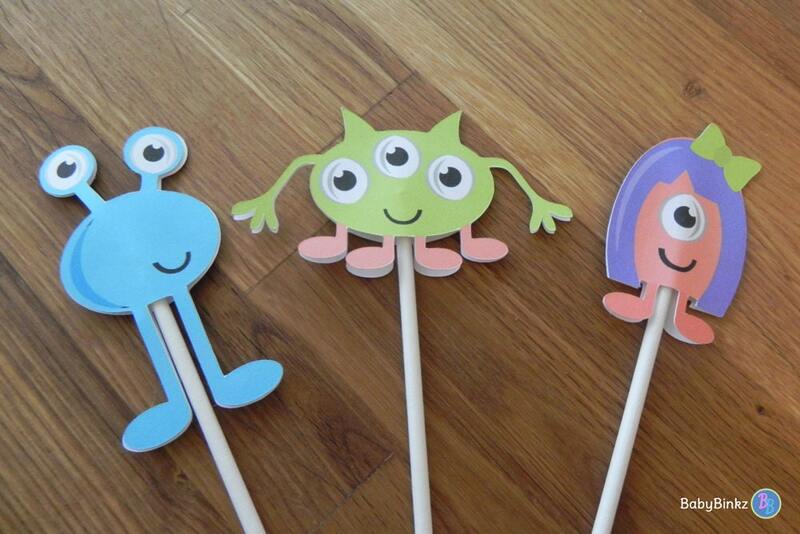 They measure approximately 2.5-3" inches high and are mounted on a 4.5 inch lollipop stick to add dimension. 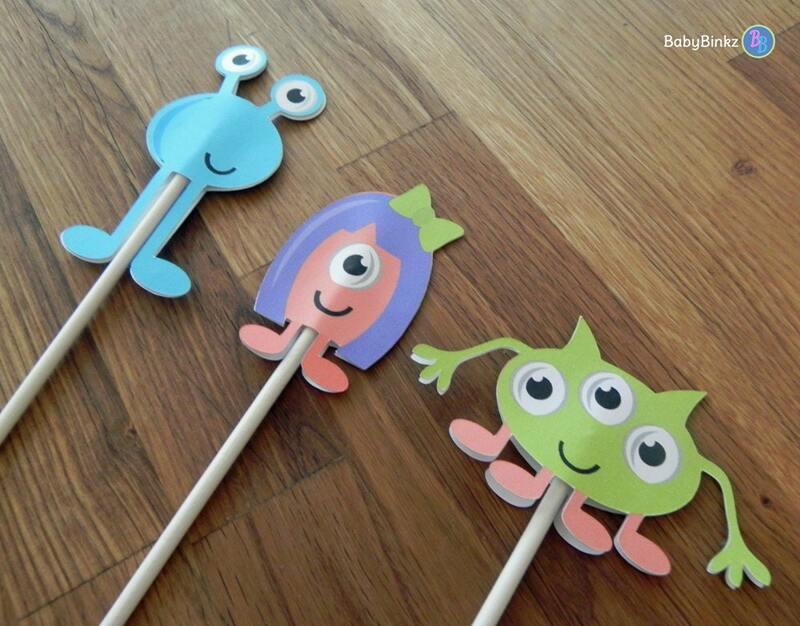 All 12 of your cupcake toppers come fully assembled & ready to use! You will receive four toppers of each of the three designs!